Properties in Kingsley average 4.8 out of 5 stars. Property 6: Family Friendly Lakefront Property- Day by Day Rates Available! Family Friendly Cottage, Hunting & Fishing, Boating, Hiking and Fun! 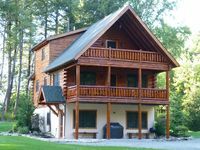 Property 8: Family Friendly Cottage, Hunting & Fishing, Boating, Hiking and Fun! 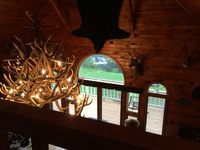 Apartment located just 3 miles from Elk Mt., northeast PA's popular ski locale! Property 14: Apartment located just 3 miles from Elk Mt., northeast PA's popular ski locale! This lakefront cottage is an ideal getaway for a family! Property 19: This lakefront cottage is an ideal getaway for a family! Exclusive 3 BR Lakefront Home Amid Nature's Captivating Beauty! Property 22: Exclusive 3 BR Lakefront Home Amid Nature's Captivating Beauty! 1920's Craftsman on Fiddle Lake - Vacation in Stickley Style - Ski Elk Mt. Property 29: 1920's Craftsman on Fiddle Lake - Vacation in Stickley Style - Ski Elk Mt. Lake Front Property. Near Elk Mountain. Large, modern, fully furnished. Property 31: Lake Front Property. Near Elk Mountain. Large, modern, fully furnished. Beautiful ski home minutes to Elk Ski Mountain. Private with Great Views! Property 38: Beautiful ski home minutes to Elk Ski Mountain. Private with Great Views! Relax And Soak In The Views With Your Family And Friends. Property 46: Relax And Soak In The Views With Your Family And Friends. I highly recommend staying at the Trophy Room! I would definitely stay again! The place was clean, beds were comfortable! Great price too! We had a great time skiing during the day and cooking/playing games at night.